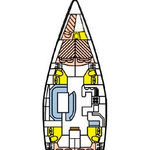 In 1999 was produced yacht Sun Odyssey 52.2 called Julianna. This vessel is available from port Makarska around Split in Croatia. 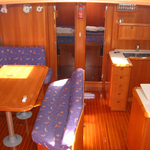 You can take in up to 10 persons on the sailboat Julianna. Scheme of beds is 10 (8+2). There are 5 bedrooms situated under she's deck. Julianna is equipped with 4 bathrooms. 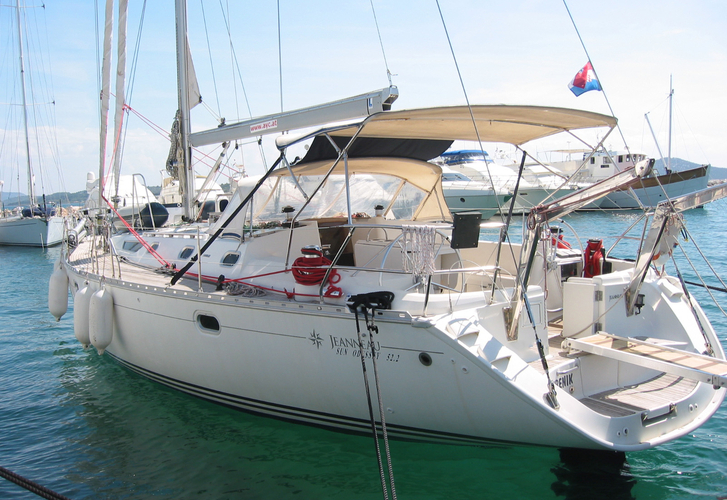 Check our offer under this link: Yacht charter Split. Fuel tank is 400.00 l l. big , tank for water has up to 1000.00 l liters. In this sailing boat there is engine 85 PS. 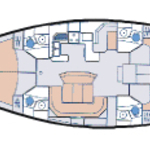 With 14.94 m of lenght overall and 4.85 m of width Julianna provides enough space for comfortable sailing. Sun Odyssey 52.2 Julianna is equipped with: Bow thruster, Dinghy, Anchor electric windlass, Bimini top, Autopilot, Gps plotter, Radio / cd player, Bed linen, Outboard engine, Furling mainsail. . Nonrefundable caution is at the level of 2000.00 EUR. 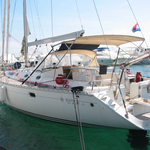 Use our search engine to find other yachts by going to this section: Yacht charter Makarska.